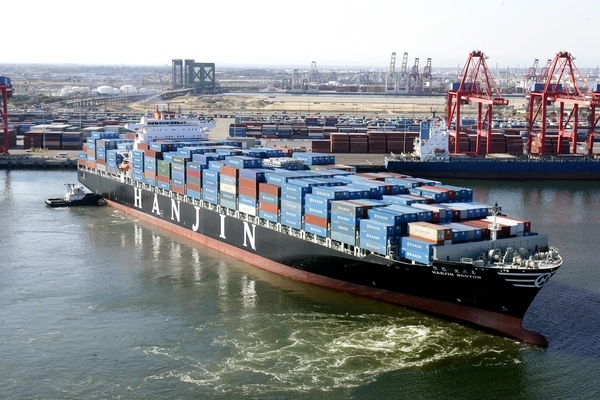 Last summer, Athens-based repeat Cruise People customer Bex Hall, who had earlier sailed in one of the last banana boats to carry passengers, travelled from Piraeus to Hong Kong in the NSB container ship Hanjin Boston. Bex posted her experiences on her blog, an excerpt of which can be found here. Whether by coincidence, by serendipity or by Google, Minnesota-based David Riggs happened upon Bex’s blog and also onto a piece on our own blog that mentioned a unique round-the-world routing between Seattle and New York or vice-versa, available through CMA CGM. 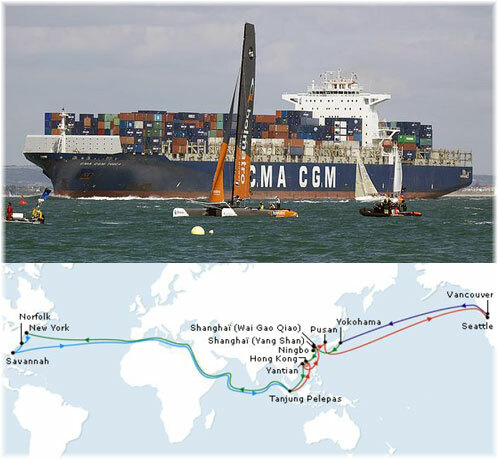 Once bitten by Bex’s posting, David got really interested and contacted us to arrange a voyage of his own, which he set out on last autumn on another container ship, the CMA CGM La Scala. sailing round the world from Seattle across the Pacific and the China Seas, through the Mediterranean and across the Atlantic back to New York. Although both Bex and David passed through the Suez and the Mediterranean on their respective voyages, about the only port call they actually had in common was Hong Kong. You will find Bex’s interview with David, and David’s deep reaction to the experience here at Bex’s blog. Anyone wanting to experience the same thing or similar need only contact our freighter specialist Miri Lopusna at The Cruise People Ltd in London and we will soon have you set to go to sea. There are now 300 passenger-carrying cargo ships on the world’s seas, accepting pasengers for as few as eight or as many as 112 days. For further details call us on +44 (0)20 7723 2450 or e-mail us at cruise@cruisepeople.co.uk. With thanks to both Bex Hall and David Riggs.